We work closely with our coffee importers to carry the coffees we love produced by farmers and co-operatives who care. After decades in the business and on the ground around the world, Emeryville-based Royal Coffee and Vancouver-based West Coast Coffee Traders have cultivated these relationships and are pleased to pass along the knowledge they've earned. We are delighted to share these details with you. Growers: Luiz and Flavia Saldanha, Selma Vieira, Vitor de Barros of Fazenda Santa Bárbara, Fazenda São Francisco, and Fazenda Santo Antônio, respectively. Colombia Cauca Piendamo is sourced from family-owned farms located in the municipality of Piendamó within the department of Cauca, Colombia. Mary Bolaños, Sergio Mosquera, Rodelfi Betancourt, Juan Medina, Dilio Pechene, and Linares Paz collaborate with an export company to gain access to technical support for best agricultural practices. Banexport has matched these regional producers because of their shared commitment to exquisite coffee processing and loving care for their farms, which produce complementary profiles. Each of these producers takes great pride in their abilities to manage their farms for the benefit of their families’ livelihoods. Process: Fully washed and dried inside solar dryers that provide protection from the rain. Peru La Florida is sourced from family-owned farms organized around Cooperativa Agraria Cafetalera La Florida, a cooperative established in 1966 in the province of Chanchamayo, Peru. La Florida has more than a thousand members who work together through the Occupational Learning Center for Sustainable Agriculture where farmers learn environmentally friendly-farming and crop diversification techniques aimed at creating additional sources of income. La Florida also funds micro-financing for women who run household businesses, rural healthcare clinics, and infrastructure projects to maintain five roads, three potable water systems, and three schools. This Ethiopia Yirgacheffe is sourced from family-owned farms organized around the BNT Industry and trading PLC, a coffee mill located in the Kochere district of the Gedeo Zone within the Southern Nations, Nationalities and Peoples' Regional State, Ethiopia. Coffee producers deliver their ripe cherries to the BNT Industry coffee mill station where the cherries are sorted and depulped. After depulping, the beans are fermented for 36 to 48 hours and then washed. The wet beans in parchment are placed on raised drying beds in thin layers and turned every 2 to 3 hours during the first few days of the drying process. Depending on weather, the beans are dried for 12 to 15 days until the moisture in the coffee beans is reduced to 11.5 percent. Then the beans are transported to Addis Ababa, the capital of Ethiopia, to be dehulled, sorted, and bagged for export. Founded in Aceh in the 1980s, PT. Raja Putra Manggala started out as a one-man business by a local trader named Ismail Bahagia. Over the years, Ismail developed his knowledge and skill for bringing quality-produced coffee to market by establishing longterm working relationships with local farmers to better understand the nature and challenges of homegrown production. Raja Putra Manggala has always been a closely-knitted family business committed in the improvement to the lives of our farmers - investing heavily in women's education and health within the community. The cooperative takes their premiums and invests in small tools and water systems within their farmer cooperative water is more conveniently located for them. Giling Basah (wet hulled) translates to "wet grinding" and is considered semi-wash and semi-dried process wherein the coffee’s protective layers have been stripped leaving an attractive environment for enzymes and sugars to absorb and help create the earthy, tobacco and chocolate flavours you love in Sumatra coffee. Process: Traditional Giling basah wet-hulling and sun-drying. Process: Fully washed and dried in the sun and mechanical driers. 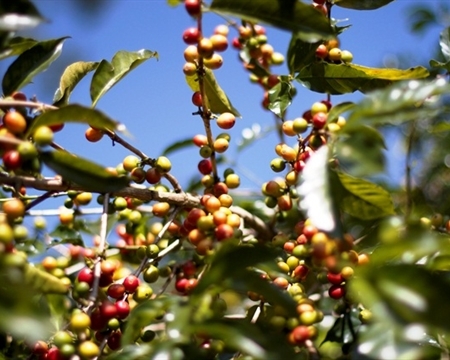 Rwanda Kivu Lake Bourbon is sourced from family-owned farms organized around the INGOBOKA Cooperative located near the shores of Kivu Lake, one of the African Great Lakes, in the Rutsiro district of Rwanda. INGOBOKA was established in 2004 and currently has 135 members, 47 of whom are women. INGOBOKA maintains a children’s school fund to assist members with education expenses, and a health insurance program to improve access to medical care.